The Arboricultural Association is pleased to welcome the Governments’ newly revised National Planning Policy Framework (NPPF), which gives ancient and veteran trees greater protection. Under the guidelines published this week they will only be removed for ‘exceptional reasons’. Congratulations to our friends at the Ancient Tree Forum and The Woodland Trust after their dedicated campaigning for these improvements. The Associations’ response to the consultation reiterated the need for greater protection of ancient and veteran trees, but also sought to include urban trees in the framework. So while the news is a step forward, we’re disappointed that urban trees were not included having argued strongly for them. Trees in urban areas are being neglected and removed to save money for other services. The revised NPPF was a great opportunity to reflect the value of urban trees and in turn empower LPAs to recognise this in robust planning policies and decisions. Despite the good news its important that we don’t become complacent and that the new framework receives effective enforcement at local level. The NPPF is, in a nutshell, a practicing consultant’s most effective tool for protecting ancient woodland and veteran trees from the threats of new development. Paragraph 118 of the old 2012 publication states that planning permission should be refused for developments “resulting in the loss or deterioration of irreplaceable habitats, including ancient woodland and the loss of aged or veteran trees” with the caveat that such developments may be permitted if “the need for, and benefits of, the development in that location clearly outweigh the loss”. An early draft of the new publication was released for consultation in March 2018 and contained some interesting changes. Paragraph 173c of the draft tried to separate the level of protection granted to trees by stating that developments resulting in the loss of ancient woodland “should be refused, unless there are wholly exceptional circumstances”, whereas developments that involve the loss of aged of veteran trees that lie outside ancient woodland should be refused “unless the need for, and benefits of, development in that location would clearly outweigh the loss”. In other words, ancient woodland would be protected except in exceptional circumstances, whereas veteran trees would be subject to a cost-benefit analysis. It is impossible to say how this would have affected LPAs in their decision to protect veteran trees, but a plausible theory (and one that I subscribe) is that the increased protection for ancient woodland would have diluted the protection of veteran trees, by contrast. 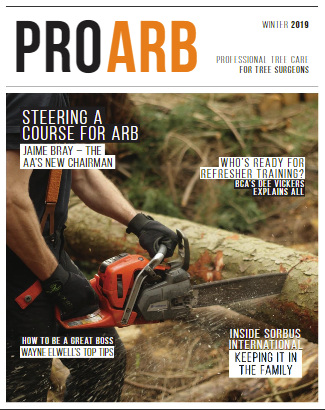 So, what are the main differences that arborists need to know? Level of Protection: Wholly exceptional reasons are now required for an LPA to approve the loss or detriment of ancient woodland or ancient and veteran trees. Previously, developments only had to demonstrate that the benefits outweighed the losses, which incorporates a substantial level of subjectivity, especially given the political pressure for affordable housing. Only time will tell, but we might reasonably expect a greater level of protection to be afforded under the new NPPF. Mitigation: For the first time, the NPPF mentions the requirement for a compensation strategy if “wholly exceptional” circumstances have allowed for the loss or detriment of irreplaceable habitat. What form compensation strategies will take is unclear, as irreplaceable habitats are, as the name suggests, irreplaceable! It may just be paying lip-service to ancient and veteran trees, but the establishment of new woodland, for instance, is better than nothing! In summary, thanks to the vigilance and hard work of organisations like the Woodland Trust and the Ancient Tree Forum, and the active, committed members who make up those organisations, we have an updated National Planning Policy Framework that includes better definitions and upgraded protection for ancient woodland and ancient & veteran trees. Only time will tell what these changes will look like in practice, but I am optimistic. We have also avoided the potential weakening of protection measures for veteran trees that was proposed in the draft publication. This could not have been achieved if we weren’t an active, engaged industry and this is a real testament to how far we’ve advanced in past few decades. Long may it continue!